Repairs have been made to both the large and small tunnels, and I was even able to mend some fence before we were hit with the last blast of snow. It was a bitter-sweet victory however, while working on the tunnels I discovered the latest round of attacks from the local rabbits. Our main crops are blackberries and raspberries. The blackberry types that we planted last year produce fruit on the floricanes, or second year canes. 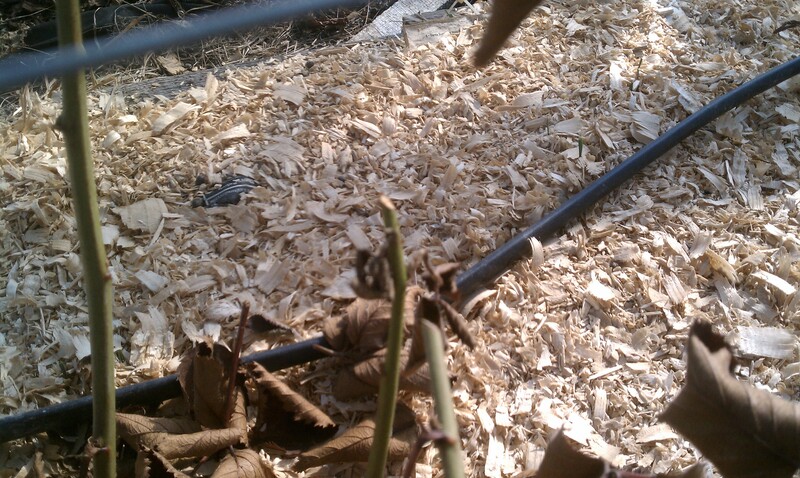 That means that the canes that grew last year will bear fruit this year. Well that is, if they are still there. We have both primocane and floricane fruiting raspberries but we will still take a big hit on this years harvest. 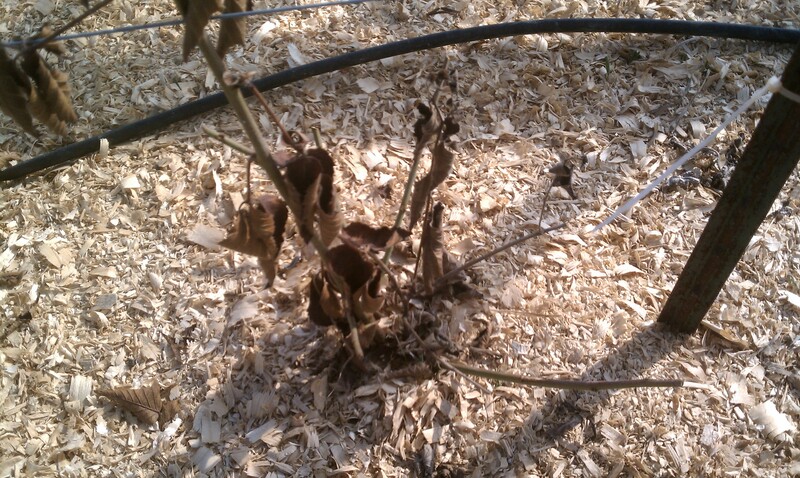 One interesting tidbit is that the rabbits were smart enough to leave the larger thorny blackberries somewhat intact. We generally have not had a lot of pest damage through the growing season, but it has be a long winter so I guess the critters were getting hungry. Installing bird netting is already in the list for spring, we will just put rabbit proofing on the pre-winter list. 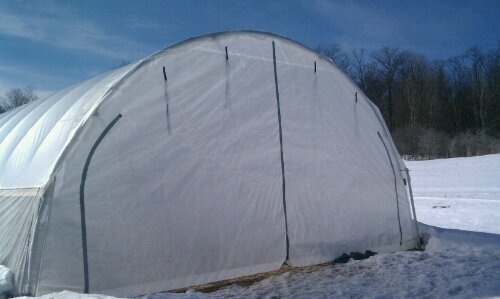 This entry was posted in High Tunnel, Uncategorized. Bookmark the permalink. We are still learning. Next year I will be more “rabbit proof”, I am just glad that it is happening now before the large tunnel is fully populated.